The Broward County Commission will consider six big development projects April 10, including a new hotel and two residential developments. A 124-room WoodSpring Suites extended-stay hotel has been proposed in Miramar, on the west side of Red Road at the intersection of Interchange Park. It’s near the Red Road exit of Florida’s Turnpike. The Miramar Park of Commerce is also close by. Gold Coast Premier Properties V, managed by Raul Garcia and Veronica M. Garcia in Miami, acquired the 2.56-acre site for $3.37 million in September 2017. The four-story hotel would have in-room kitchens, laundry facilities and 135 parking spaces. The developer is represented by Kimley-Horn and Associates. 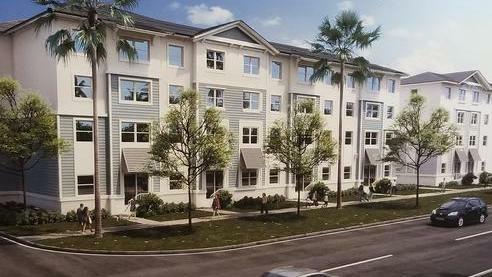 The Dania Beach Housing Authority wants to build the Saratoga Crossings affordable apartments at 705 W. Dania Beach Blvd. The Dania Beach Housing Authority wants to redevelop and expand one of its affordable housing communities in the city. The 2.12-acre site at 705 W. Dania Beach Blvd. currently has 15 garden-style affordable-housing apartments that date to 1991. The authority wants to demolish them and built 74 mid-rise affordable housing units called Saratoga Crossings. It’s seeking low-income tax credits through the Florida Housing Finance Corp.
Pulice Land Surveyors represents the authority in the application. Although it’s not on the county agenda right now, the Dania Beach Housing Authority has a similar plan to redevelop and expand its affordable housing property at 1105 W. Dania Beach Blvd. 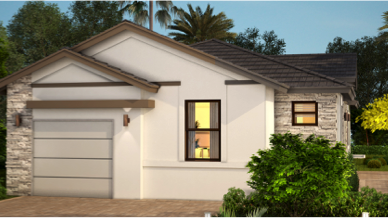 Stellar Homes plans to build 39 townhomes at 4091 W. Palm Aire Drive in Pompano Beach. A section of the Palm-Aire neighborhood in Pompano Beach could be developed into for-sale townhouses by Stellar Homes Group. 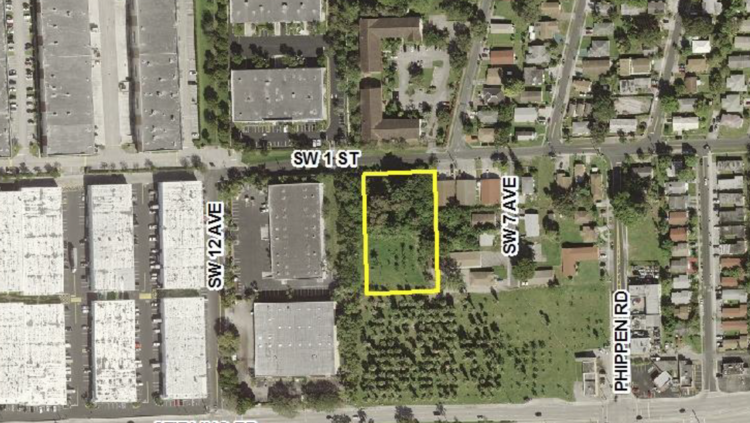 The 4.4-acre site at 4091 W. Palm Aire Drive could be rezoned for 39 townhouses. The property is currently owned by Range at Palm Aire Holdings, managed by Andres I. Lauria and Antonio E. Lauria, but it’s under contract to Fort Lauderdale-based Stellar Homes. In a previous interview, Stellar Homes Managing Partner Larry Baum said the Club at Palm-Aire townhomes would be an energy-efficient community with townhomes ranging from 1,600 square feet with three bedrooms to 2,400 square feet with four bedrooms. Stellar Homes is working on the project with architecture firm Pascual Perez Kiliddjian and planning firm Keith & Associates. 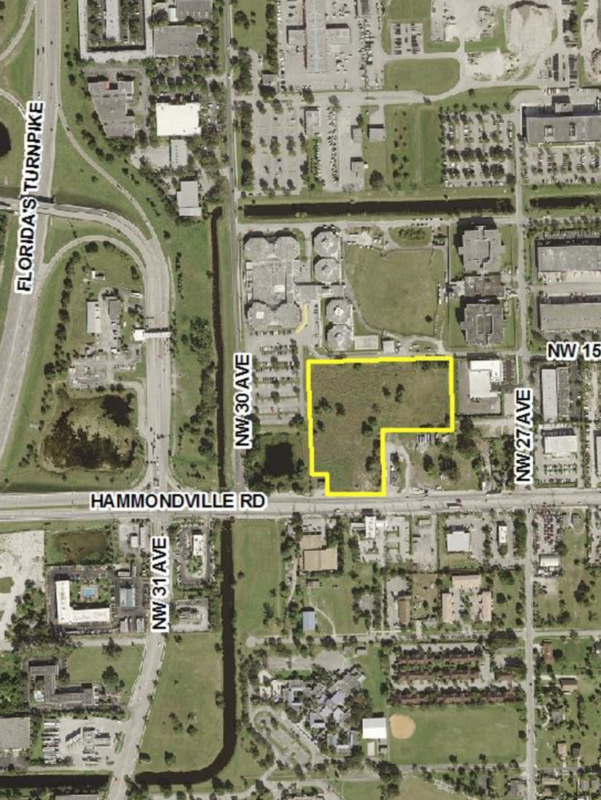 Top Self Storage Three has proposed a self-storage facility at 1501 Hammondville Road in Pompano Beach. Top Self Storage Three LLC, managed by Arvid Albanese of Fort Lauderdale-based Albanese Group, wants to build a self-storage facility just east of Florida’s Turnpike in Pompano Beach. The developer wants approval for 225,000 square feet of self-storage on the 7.24-acre site at 1501 Hammondville Road, which is also known as 2851 Dr. Martin Luther King Jr. Blvd. The project would be three stories tall. The developer acquired the property for $1.65 million in 2016. It’s represented by Paul E. Brewer & Associates. Stirling Square LLC has proposed a 127,000-square-foot self-storage facility along Southwest First Street in Dania Beach. A Dania Beach property that recently traded for $4.5 million could be redeveloped as self-storage. The 5.51-acre site at 602 Stirling Road was recently sold by C.F. & A. Hill Family LTD and JSRJ Inc., both managed by Jeanine Hill, to Stirling Square LLC. The buyer is managed by Terrence Salzman in Weston and Robert Shapiro in Aventura. County records show the developer already started clearing the site and demolishing a small building. The developer is seeking to plat the northern part of the property fronting Southwest First Street for 127,000 square feet of self-storage in five stories. Although it’s not on the county agenda, the southern side of the property along Stirling Road was planned for restaurants of 3,505 and 1,858 square feet, plus a 22,000-square-foot retail building. Pulice Land Surveyors represents the developer in the application. A pet lodge is planned at 4181 W. Hillsboro Blvd. in Coconut Creek. Boca Raton-based Leder Corp., led by Samuel Leder, wants to build a pet lodge and a self-storage facility in Coconut Creek. The 7.62-acre site, at 4171 and 4181 Hillsboro Blvd., currently has a 10,000-square-foot building that formerly hosted a veterinary hospital, a 8,000-square-foot kennel and an 37,917-square-foot office building. 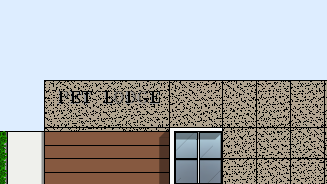 Leder Hillsboro Corp., an affiliate of Leder Corp., wants to demolish the former veterinary hospital and the kennel in order to build a 15,000-square-foot pet lodge and a 120,000-square-foot self-storage facility. The existing office building would have façade renovations. The project would have two fountains and artificial turf fronting the street, plus 170 parking spaces. The developer is represented by Keith & Associates.